Aureobasidium can be found all over the world. It is a fast-growing, slimy mold that appears cream-colored or pink at first and later turns dark brown or black. It may resemble stachybotrys chartarum in appearance, the mold sometimes referred to as black mold or toxic mold. There are, however, many types of mold that are slimy and black in appearance and you can’t tell what type of mold you’re dealing with just by looking at it. If you want to know what kind of mold is growing in your home, you can test it. There are do-it-yourself mold test kits available, but many of these only test for the most common types of mold. They may tell you if you have stachybotrys chartarum in your home but some of them will not identify less common strains of mold like aureobasidium. Some of them aren’t very accurate, either. 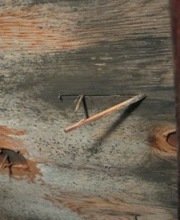 If you really want to know what kind of mold is in your home, we recommend hiring a professional to test the mold. You’ll get accurate results and the professional can help interpret the results of the scientific lab report for you. Note that the Centers for Disease Control and Prevention says it’s usually not necessary to test mold to find out what kind it is because all types of mold can cause health problems and need to be removed from the home as soon as possible. It doesn’t really matter what kind it is. Homeowners often want to have their homes tested for mold to make sure the mold has been completely removed, however, and that the home is safe and healthy again. You can learn more about mold testing here. 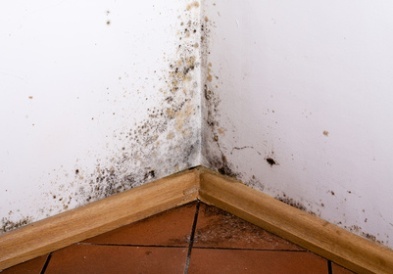 Stachybotrys chartarum, or black mold, is known for causing many serious health problems, even life-threatening problems like bleeding in the lungs in some cases. You can read more about the health problems related to black mold. While aureobasidium in the home may not be as hazardous to your health as stachybotrys chartarum, like any kind of mold, exposure to it can lead to health problems. Inhalation of mold spores can cause all sorts of respiratory problems, including shortness of breath, coughing, sneezing, a runny nose, sinus infections, bronchitis, and even pneumonia. Symptoms may also include a sore throat, headache, and itchy, watery eyes. People with asthma may experience a worsening of symptoms, including an increase in both frequency and severity of asthma attacks. Some people experience only minor symptoms while others become seriously ill.
Not everyone that is exposed to mold gets sick, of course. 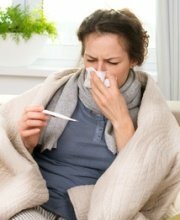 Some people are at greater risk for mold-related illness than others, including babies, elderly people, and those with medical conditions such as disorders affecting the immune system and respiratory problems like asthma. Sometimes previously-healthy people get sick from mold exposure, though. It is difficult to predict who will be affected. Even household pets can get sick from mold. If you develop symptoms you believe are related to mold exposure, see your doctor as soon as possible. Let your doctor know if you’ve been exposed to mold and, if you know, what kind of mold it was. When cleaning up any type of mold, the U.S. Environmental Protection Agency (EPA) says you should wear protective equipment, including an N-95 respirator mask, long gloves (gloves that come at least halfway up your forearm, not just to your wrist), and goggles to protect your eyes. The process of cleaning up mold stirs up mold spores, which are easily inhaled and can cause illness. If you’re experiencing mold-related health problems, your physician may recommend arranging for someone else to handle to mold removal for you in order to prevent further exposure to mold. 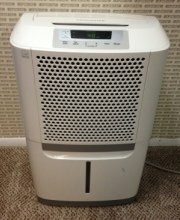 It is also easy to spread mold spores to other areas of the home during the cleanup process. Precautions must be taken, like blocking off your work area and in some instances, setting up negative pressure in the work area. You can find some helpful mold removal tips here, but you’ll likely need more information in order to complete the job safely. We suggest scheduling a free consultation with a mold removal professional to discuss the work that needs to be done in your home. You’ll get a free inspection for mold and a written estimate for the cost of the job, and you’ll also get a chance to ask questions and get advice from a professional in the field. You can find experienced mold removal professionals offering free consultations in your area by following the link.